As a full solution pharmacy point-of-sale provider, RMS has a wide selection of supplies to keep your business flowing efficiently and crazy easy! 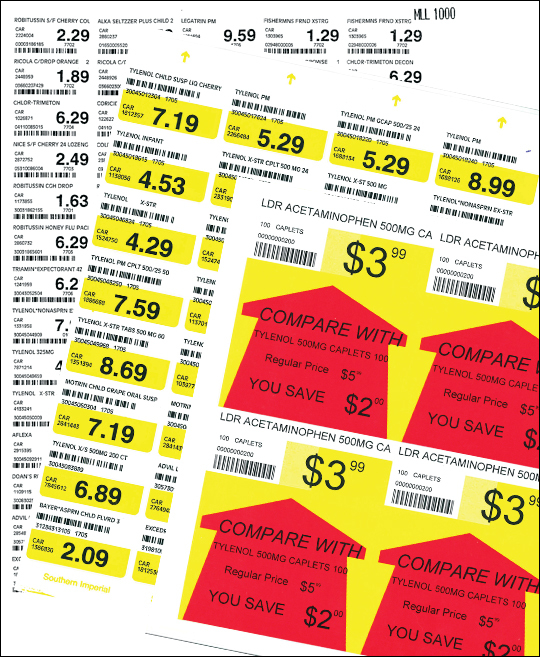 Redesign your store with our wide selection of quality shelf tags or shelf talkers. Send out your accounts receivable statements with our Wallace Laser sheets and Laser A/R Statement envelopes. Not only do we carry receipt printer rolls for all your transactions but we also have printer ribbons check endorsing with our TMH-6000 receipt printer! Just click the orange Client Login button at the top of any page to see what we have available. You can even order online using our easy checkout process or by calling us at 877-767-1060!